I distinctly remember finding myself at a Swiss mountain hut with an early generation Salomon running vest and hydration hose. It had taken me more than a few runs to get up the nerve to actually wear the thing where I might be seen. France was one thing, Switzerland was another. Going to a hut with it was not part of the plan, but in a desperate moment for calories my time to come out had arrived. I entered the hut in running shoes, short shorts, and a bright red lycra vest. The people stared until finally someone boldly asked why my shoulder straps were zipped together and a hose was coming out of my back. “Running? Up here?” That was 2003, thankfully times have changed. To say trail running has grown is an understatement. The sport has exploded, and nowhere is it more evident than by the amount of races, which are everywhere and massively attended. Meanwhile, more and more people are trading in big, heavy hiking boots for light trail shoes. Now it’s perfectly normal to find runners seeking calories in the huts. 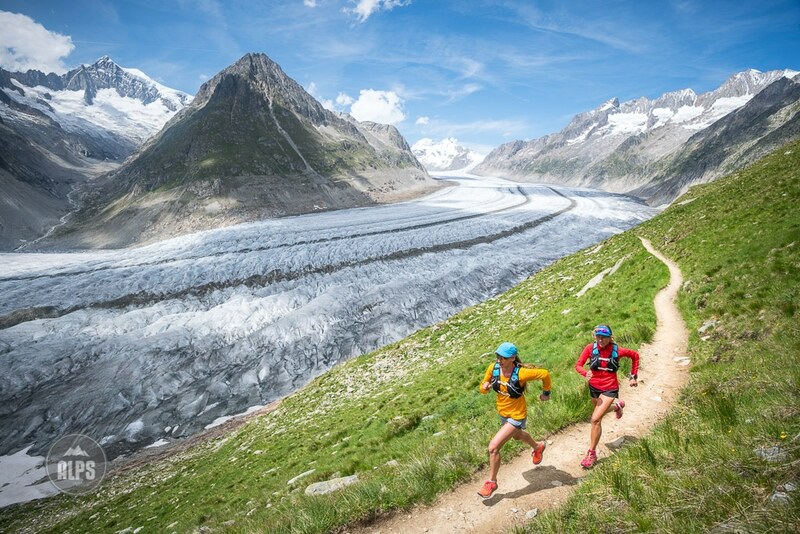 The theme of trail running in the Alps photography is certainly small person, massive landscape – it’s what you have to work with, and it’s what you come for. We enjoy showing it off. 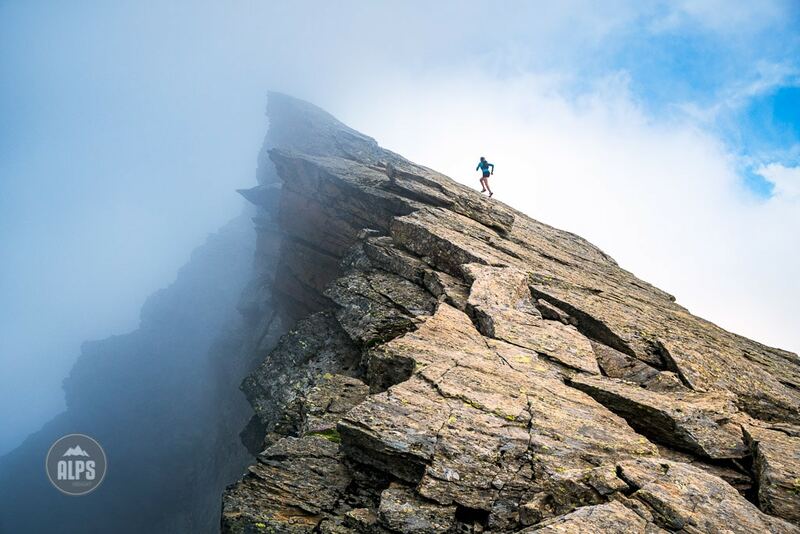 In this time, we’ve continued to explore the Alps as runners, doing day trips, taking advantage of the tremendous Swiss hut system for multi-day tours, and applying components of trail running to other mountain sports; climbing, alpinism, speed hiking, and ski mountaineering. In 2016, our passion for trail running helped develop our Way Up project. 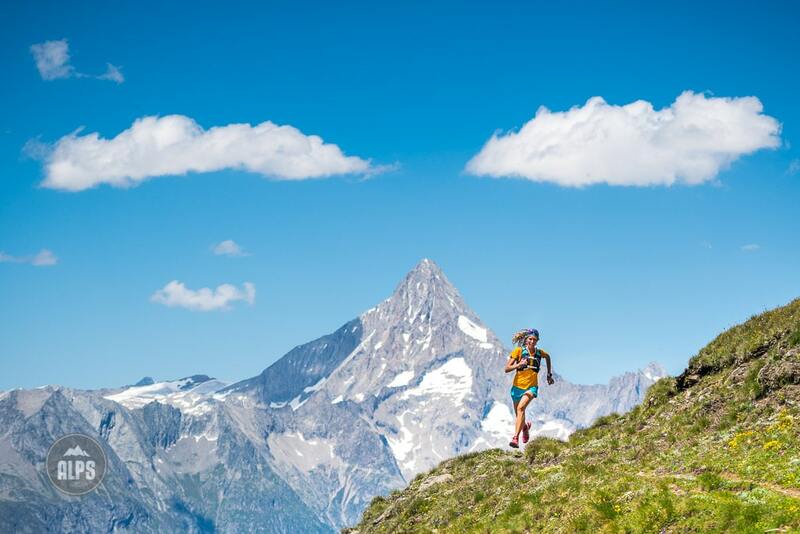 For us, and for a very significant audience, trail running is what we do in the mountains. 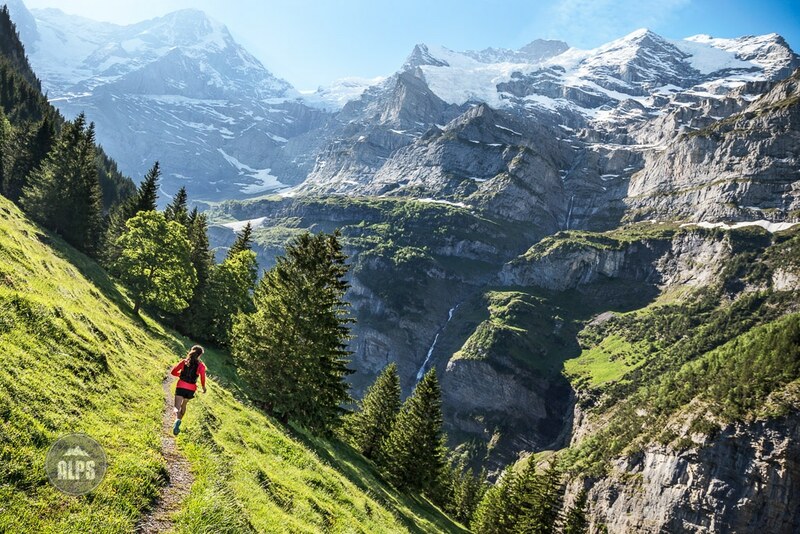 With nearly twenty years experience running trails in the Swiss Alps, it’s time to do something with our knowledge beyond ALPSinsight. Last fall, we teamed up with the Swiss publisher Helvetiq, along with our good friends Doug Mayer and Kimberly Strom. 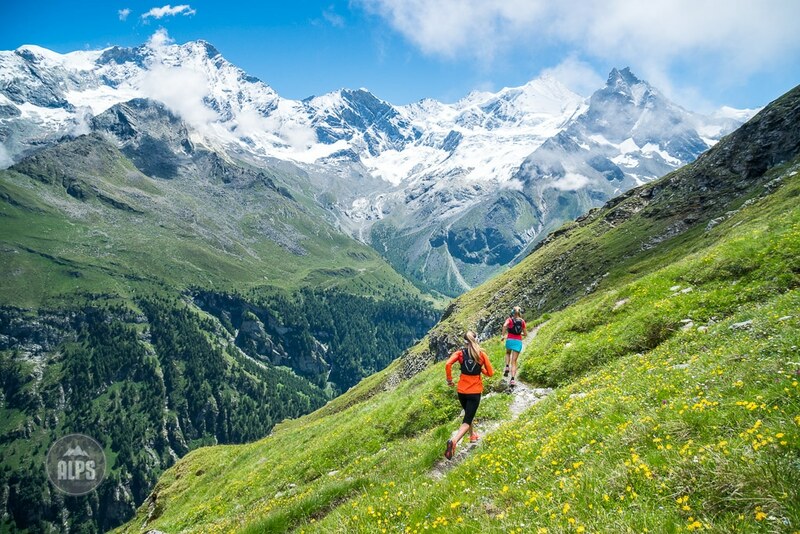 Doug is the owner of Run the Alps, a trail running tour company specializing in the Alps. Doug is also the “Old Grey Mayer” of CarTalk fame in the US, where he has been one of the associate producers for 20 years. 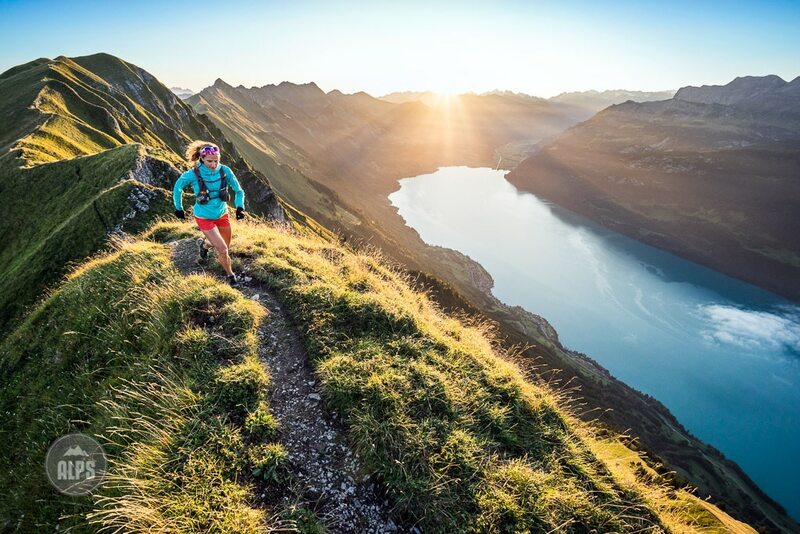 Kim Strom is a European based trail runner active in the mountain running scene, as well as a writer and regular partner for our work at PatitucciPhoto. We feel like we’re on the dream team. So, what are we doing…? We’ve developed a collection of some of the best runs in the Alps most beautiful settings to share with you through big photos, detailed route beta, storytelling, historical info, and so much more. But, you’ll have to wait for what all gets released. If you are interested in learning more about the project, when it will print, where you can find it, and even how you might get involved…, you can sign up at Helvetiq Run the Alps Switzerland. Twitter @alpsinsight is where we’ll post the most photos, storytelling, behind the scenes, and live reporting. Instagram @alpsinsight or Facebook/alpsinsight is where you can get photo reports. 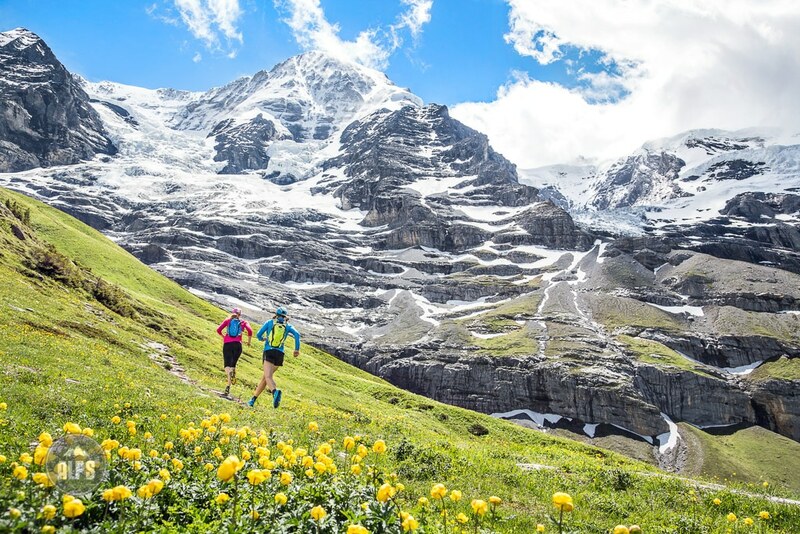 We have a huge summer and fall full of trail running around the Alps ahead of us. 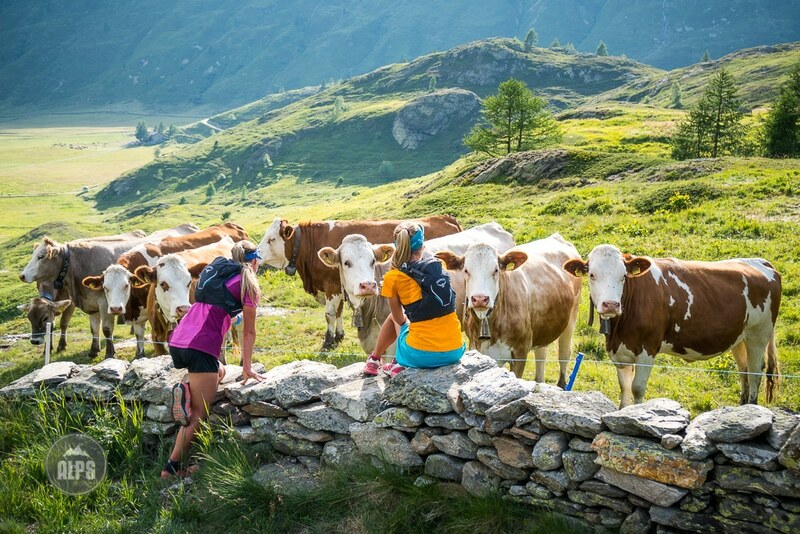 Follow along to learn more, and remember, the best trails aren’t just for runners, these are also five star Alps hiking routes. Finally, the motivation for the book really comes from the feedback we’ve had from our followers at ALPSinsight. To hear reports from people about how they enjoyed their trips that we inspired comes right back to inspire us to do more. And so it goes. Thank you for the support, we can’t wait to share what we’ve discovered. And of course the cows! Fantastic project and absolutely justified. I’m sure it’s going to be stunning. Thank you for sharing your adventures here.